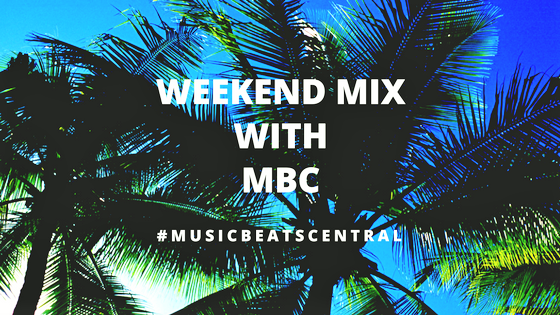 MBC brings you the latest new music, classics, music reviews, exclusive interviews and more!!! Hi everyone and welcome back to another Artist Of The Week series. It’s been a long time since my last series so thank you for your amazing patience. Recently, I interviewed singer-songwriter who is originally from Canada but now resides in Nashville, TN. The artist I am talking about is the talented Danielle Todd. Danielle truly has talent and what can I say her voice is captivating from the moment you hear her. Her latest song ‘Crazy’ is infectious, catchy and speaks volumes, its music to my eyes. If you don’t believe check out the video below and tell me what you think in the comment section below. Which person are you in this song? If I had to choose I’d say I’m a bit of all of 4 hehe. Well my lovelies, in this exclusive interview Danielle talks about her origins, when she knew she wanted to become a singer-songwriter, the meaning behind her new song, the inspiration, what’s to come and more. Sit back, relax and enjoy this exclusive one on one interview with the lovely Danielle Todd. Please tell the readers who you are and where you’re from? 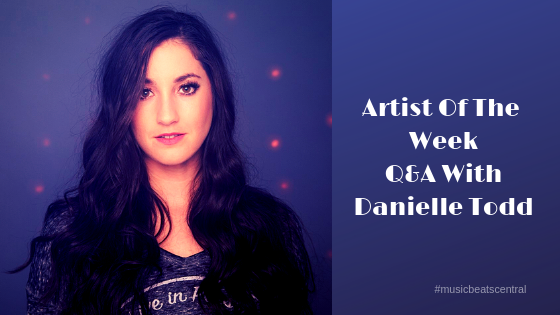 D: My name is Daniele Todd and I am a singer/songwriter from Guelph, Ontario (Canada) and I currently live in Nashville, TN. How old were you when you knew you wanted to become a singer-songwriter? D: I was a singer since before I could talk. I would hum melodies and sing along to the radio without being able to speak! I loved music from day 1. I really started writing when I was in high school. My dad bought me my first upright piano and told me if I taught myself to play the piano, I didn’t have to get a summer job. What a deal, eh? So instead of “learning” to play piano, I sat at the piano and wrote song after song. Recently, you made your debut with latest single ‘Crazy’. What was the inspiration in writing the song? D: I wrote this song with two beautiful women, Bobbi Holliday from Oklahoma, and Caitie Thompson from Ohio. We met at a songwriter’s retreat and were thrown into a room together. The song came together so quickly and it’s all about a stubborn person who doesn’t want to be in a relationship, but they end up falling harder than they can imagine. What was the process in making the video to your latest single? D: I made the video in Chatham, Ontario in a beautiful old renovated Church. The idea behind the video was to capture “multiple personalities” of me. The four different looks fall into different decades; the 50’s domestic housewife, the 70’s hippie, and the 90’s boy crazy teen and of course today! All of these stereotypes are considered a little crazy, and all of these decades represent me. I grew up in the 90’s listening to major country artists, I am a complete tree hugger hippie and I LOVE baking and taking care of people like a domestic housewife. Will there be a second single anytime soon? D: I’m a songwriter, so there is always new music in the works! When will we expect the release of your future EP? D: Once we release a couple more singles we will have an EP coming out. And in the coming months what should we expect? D: We are working on the second release. There will also be a visit to Australia in early 2020. I can’t wait to see all my Aussie fans again. Lastly, what would you like to say to your fans? D: I really do have the best fan base a girl could ask for. My fans pull together and support me like no other fans in the world, I’m sure of it. So thank you to everyone who has followed my journey! If you aren’t already part of my private fan group, please join “The Hot Toddy’s” on Facebook. The Hot Toddy’s have become a giant family and I’m so proud to have them on my side. I would like to say thank you so much, Danielle, in taking the time out of your very busy schedule and I look forward to seeing you in early 2020 as I am sure your fans are too. Hope you all enjoyed our interview and if you did, make sure to head to all of the artist’s social media pages via the links below. And make sure to purchase Danielle Todd’s latest single ‘Crazy’ now on ITunes and you can listen now on Spotify. Thank you all so much for stopping by and see you in my next entry. Enjoy the rest of your day everyone!!! Much love to you all and ciao for now! Hope you are having a great day so far. 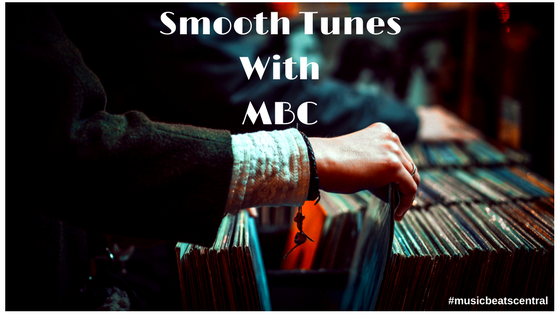 To ease into your day here are MBC’s top 12 tunes for your easy listening. I know I haven’t posted in a while and will try and post from time to time. If you enjoyed today’s entry you can purchase all 12 tracks now on ITunes and you can listen to my complete compilation on Spotify. Ahh, the nostalgia right?? Great to hear all of the above songs featured, it’s been a while. As mentioned earlier, if you enjoyed today’s entry you can purchase all 12 tracks now on ITunes and you can listen to my awesome compilation on Spotify. There you would have a set playlist for your enjoyment. Make sure to follow, like and subscribe for the latest music, news and more by heading to the artist’s website. Thank you all so much for your long-awaited patience, as I stated earlier I will try from time to time to post something on my blog. I have an up and coming artist who will feature in the Artist of the week: Q&A series so stay tuned. Enjoy the rest of your day and see you all soon in my next entry. 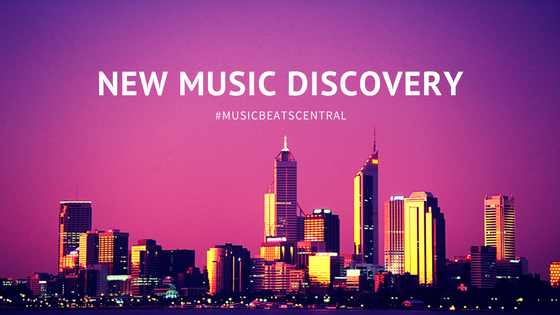 Welcome back to another entry here at Music Beats Central. Are you looking for a new set of playlist to unwind to, here are my top 12 new music discoveries for your eyes and ears only? If you love today’s entry, you can purchase all 12 tracks now on ITunes and you can listen to my complete compilation now on Spotify. Great to see some bands back and with new music, I am talking about my favourite boyband of all time Westlife. What an awesome playlist I might add and if you love it also you can purchase all of the 12 songs now on ITunes and you can listen to my complete compilation on Spotify. Make sure to follow, like and subscribe for the latest music, news, tours and more by heading to the artist’s website. And make sure to keep a lookout for Eurovision Australia Decides as we will find out who out of the top 10 Australian will perform and represent Australia at the Eurovision 2019 singing contest. Mark Vincent is in the top 10 and wish him all the best and hope to see him represent Australia. A world-class talent with the biggest voice of mankind. Not exaggerating you can listen to his song ‘This Is Not The End’ now via the clip above. Thank you all so much for stopping by. Have a wonderful rest of the afternoon and see you in my next entry. 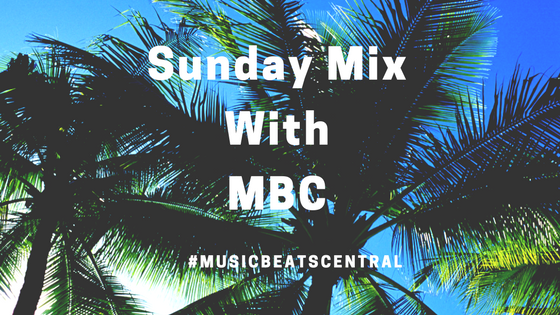 To ease into your busy day, here are MBC’s top 12 tunes for your easy listening. If you like today’s playlist you can purchase all 12 tracks now on ITunes or you can listen to my complete compilation on Spotify. Let’s take a step back, relax and unwind! Some really great tunes am I right?! As mentioned earlier, if you loved today’s entry as much as I have, you can purchase all 12 tracks now on ITunes and you can listen to my complete playlist on Spotify. Artist of the week series is about to launch soon. Until next time, have an amazing rest of the afternoon and see you all in my next entry. Hope you all had a great week and ready for the weekend to begin. To ease into your lovely afternoon, here are MBC’s top 12 songs for your easy listening. If you enjoy today’s playlist you can purchase all 12 tracks now on ITunes and you can listen to my complete compilation on Spotify. **NEW ALBUM: ‘Odyssey’ OUT NOW!!! Hope you enjoyed MBC’s compilation as much as I did. Nothing like a playlist to ease into your weekend am I right?! As mentioned earlier if you enjoyed today’s entry you can purchase all 12 tracks now on ITunes or you can listen to my complete compilation on Spotify. Make sure to follow all of the artist’s mentioned on all things music by heading to their website. Thank you all so much for always stopping by and see you all in my next entry. Don’t forget to keep an eye out when I re-introduce the Artist of The Week Series. Wishing you an amazing rest of the day and weekend!! !